Using dry shampoos is an option that is convenient when you’re pressed for time. Yes, you will still have days where hair-washing is a must, but, in a pinch, these shampoos can make the flattest hair presentable. Even fresh-from-the-gym hair can benefit from it. Weather can affect our tresses, no matter the texture. A powder shampoo can help with this. There are several professional brands on the market, and many at greater cost than we can, or want, to pay, and this is where this type of shampoo comes in handy. Here are several DIY dry shampoo recipes. Mix all dry ingredients well in a bowl, adding the essential oil last. Then place your mixture into a container with a lid that seals well. Dust the hair well, then shake out. It’s very easy to use a large cosmetic brush for this, or put the mixture into a shaker container. There is less control of application this way, but much easier spread. five drops of lavender essential oil (or your favorite scent). Since arrowroot has no smell, any essential oil may be used. Mix the dry ingredients well first, then the oil, and use as needed. five to ten drops essential oil. This recipe tends to ask for orange scents, cedar, or lemon and lemon grass essential oils. Just as in the other recipes, mix all dry components first, then the scent. Be sure to store in an air-tight container. Our fourth recipe uses clay as its first ingredient, and this mixture is typically used on light hair. Kaolin clay is also called white cosmetic clay. It has great absorbent qualities, and can be found in many herbal shops, or bath and body stores. Rhassoul clay is sourced from fertile deposits in Morocco’s Atlas Mountains, and is used world-wide in spas for skin and hair care. Rhassoul clay can usually be found on-line, in herbal shops, or bath and body stores. Rose Kaolin clay is also known as Moroccan clay. Of course, the choice of scent of essential oil you choose is up to your preferences. Rose Kaolin clay can be found on-line, in herbal shops, or bath and body stores. Brunettes will want to add four tablespoons of cocoa to their mix. Blondes will need to add three-fourths teaspoon turmeric, and red heads will want to add two-and-one-fourth teaspoon paprika. To lighten this recipe, add more arrowroot or cornstarch. To darken, use more cocoa, turmeric, or paprika. The great thing about creating your own formula is that it is geared to your very own hair color. Rubbing alcohol can be used in place of the vodka for this DIY dry shampoo. Sadly, rubbing alcohol is more drying to the hair. For this recipe, essential oils options that work best are lemon, rosemary, lemongrass, lime, peppermint or bergamot. Choose what works for you. Combine all ingredients, and then add them to an empty, clean spray bottle. Mix well and store in a tightly sealed container. One great convenience of using these types of shampoos is the ability to go a little longer between hair washes. 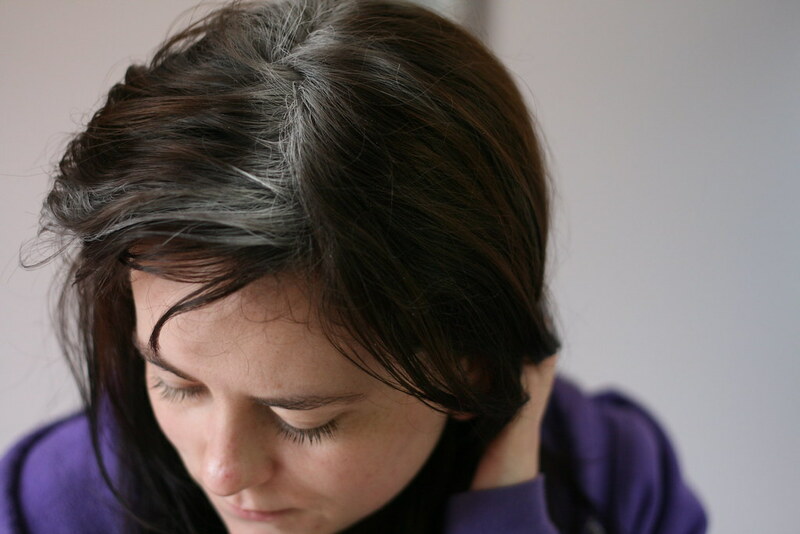 A DIY dry shampoo can help you look fresh. And for the after-the-gym look, relax. A container holding your favorite shampoo fits into any bag. Using any of these can benefit hair in another way: eliminating the damaging blow dryer.